It's that wonderful time of year again, so I would like to take this opportunity to thank all my followers, visitors and friends at Bloggers Network for your continued support and to wish you, your families, friends and loved ones a Merry Christmas and a Happy New Year. I hope you all have a fabulous Christmas and that 2012 brings you joy, happiness and prosperity. Unfortunately, my workload over the past few weeks has prevented me from doing my regular blog posts. You'll be pleased to know that this work has now been completed and it will be business as usual, starting in the New Year. Obviously, I will not be publishing any new posts on the blog during this festive period, but I'll continue to bring you more great articles, exclusives and news starting in January. Don't forget that if you would like to guest post or submit an article for review for inclusion on the blog, please use the Contact tab above for more information and to get in touch. I hope you'll forgive me for keeping this post short but it's my Birthday today and a party invitation awaits :) Thank you to all those who have posted Birthday wishes on my Facebook page and until my next blog post, enjoy the festive holidays..!! 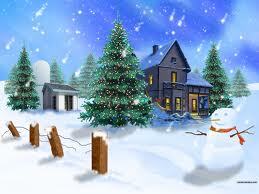 Until 2012, have a wonderful Christmas and New Year! With the launch of Google+ pages for brands on Monday and with me doing a post on the subject, here's 5 tips from the Google+ Team which I thought I would share with you. We know you love some brands and businesses. Others you may want to show a quick note of support, but not see all their updates. So just drop a little +1 and keep going, or add a page to any circle you want. You're in control. 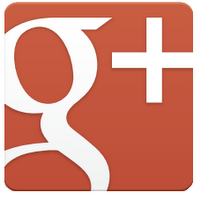 We want Google+ to be a place you love to share. Pages cannot circle you until you follow them first. Of course, if you are in their circles, they can share great deals, exclusive coupons, product tips and hangouts, but the relationship is yours to start. That's right. The Google+ page can't even say your name unless you're following. No +mention spam. If you remove a Google+ Page from your circles, you are automatically removed from their circles. You always are in charge. With a new feature we call Direct Connect, just type + followed by the brand name in Google Search, and you can see pages automatically display. Type +Pepsi to see Pepsi, and +Dell for Dell. It's that easy. 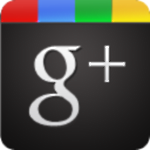 Have you created a Google+ page? If so, what do you think of the new pages? Are these pages better than Facebook pages? Please let me know by leaving your valued comments. Addendum: With today being Armistice Day (Remembrance Day or Veterans Day in the US) and Remembrance Sunday in two days time here in the UK, may we honour our Veterans and pay tribute to those who died. May we always remember and never forget those who lost their lives in the line of duty. Using Google+? 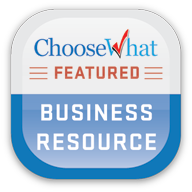 Add Derek's Home and Business Blog to your circles and stay up to date with the latest blog posts, news and resources. Google announced on Monday the introduction of Google+ Pages and a collection of other tools to help businesses and brands to grow their audience. According to Google, these pages are aimed to bring you closer to your audience, allowing you to have real conversations with the right people, connecting you face-to-face with your site's visitors and allowing current fans to recommend new ones. Giving your business a home on Google+ lets you directly interact with your users while giving them more chances to share your content with their friends. As reported in one of my recent posts, major advertisers already use Facebook and Twitter to reach large audiences on those services. With this announcement and with more than 40 million users so far using Google+, you can now have a presence on the new social network and another platform to promote your products and/or services and to connect with your customers. Similar to Google+ profile pages, these new pages include Hangouts, a tool that allows you to have high-quality video chats with your customers and Circles which allows you to group followers of your page into smaller audiences, ideal for sharing specific messages with specific groups of people. All pages will have access to analytics tools and support for multiple administrators in the near future. These pages are not just limited to businesses and brands. If you're a blog owner for example, you can create a page and use it to announce your latest blog posts and to have discussions with your followers. Unlike Facebook pages, the new Google+ pages are simple to create and to setup. Within minutes of pressing the create a page link, your page is up and running and you're ready to start promoting it. To help your users find your page and start sharing, there are two buttons you can add to your site: the Google+ icon which is available now and the badge, which will be available in the next few days. This badge lets people add your page to their circles without leaving your site and allows them to get updates from your site via Google+. You can get the icon and badge (when available) by visiting the Google+ badge configuration tool. With the launch of the new brand pages, Google have extended the power of the +1 and brought out a new experimental feature called Google+ Direct Connect which is currently only available to a small group of publishers. In a statement on their blog post: If you've linked your page to your site and you qualify, when someone searches for your website's name with the "+" sign before it, Direct Connect will send them directly to your page. For example, try searching for "+YouTube" on Google. Users will also be prompted to automatically add pages they find through Direct Connect to their circles. The extension of the +1 certainly looks an exciting feature as all your +1s (from your page, your website and on search results) will get combined and appear as a single total. These totals will then be visible on your page, your website and on search results and reach all the people who use Google, including the 40 million Google+ users. For the +1 extension to work, you need to link your site to your page using the Google+ badge configuration tool. I've also updated the blog to include the new Google+ icon that directly links to this new page. You can find the new (red G+) icon at the top of sidebar with the rest of the social icons. Note: With last month's announcement of the shut down of Google Buzz in a few weeks, I've now removed this icon from the blog and replaced it with the new icon. With the launch of the new brand pages, I feel Google+ can now seriously compete against Facebook and as businesses and brands come to use this new online marketing tool, only time will tell how successful it will become or if it's too little, too late. What do you think of the new pages? Do you think they will have a bigger marketing impact for your business than Facebook pages? I would love to read your thoughts on this. Since its launch back in August 2010, Derek's Home and Business Blog has grown beyond all my expectations and it's all down to you, my valued and dedicated followers, visitors and my friends at Bloggers Network. This growth is truly exceptional and therefore, I want to take this opportunity to thank all of you for making this blog so successful and for your continued support. You make this blog and the work that goes into it all worthwhile. Given this exciting growth, I'm now able to offer some extra services on the blog. These services include Guest Posting, Article Submissions, Reciprocal Link Exchanges and a variety of Advertising options for those wishing to promote their products and/or services on the blog. I'm always on the lookout for high quality, informative articles to offer my readers. If you write business-related articles or articles on the topics of Internet Marketing, Affiliate Marketing, Social Media Marketing/Optimisation (SMO), Blogging, Search Engine Optimisation (SEO) or Search Engine Marketing (SEM), I would like to hear from you. To ensure you have full recognition for your work, each published article or guest post will be featured and include two "DoFollow" links to your website or blog; one in the lead-in sentence (used to introduce you) at the beginning of the article/post and the other at the end of the article/post within the author's bio. You can also promote your social network profiles by including your Facebook, Google+ or Twitter profile links within the bio section. 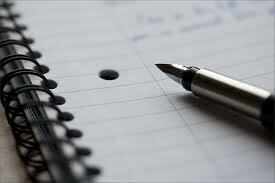 Guidelines on guest posting and article submissions can be found on the Write For Us page. Reciprocal link exchanges that fit into the subject matter of the blog are always welcome. If you are interested in exchanging links and your site is of good quality, has a fair amount of traffic and has a Google PageRank of 3 or more, please contact me with your site details using the Contact tab above. Don't forget that if you're a blog owner, you can list your blog in our new Blog Directory page. Although based in the UK, Derek's Home and Business Blog receives traffic from and promotes to a global audience. If you are an advertising agency or an individual interested in advertising your products and/or services on the blog, please don't hesitate to contact me using the Contact tab above. Advertising options within the subject matter of the blog can include Banners, Contextual Ads, Text Links, Videos and Articles. These options can be of any length of time (from one month to permanent), depending on your or the client's requirements. All advertising prices are currently open to negotiations (until further notice) and to avoid transaction and currency conversion fees, payments made using PayPal. For more details and pricing, visit the Advertise page. Please note: To continue to ensure that the blog can be viewed by any age group, we do not offer advertising options where the content of the advertisement or the site it links to contains gambling, pharmaceutical or adult content. If you are interested in guest posting or submitting articles, exchanging links or advertising your products and/or services on the blog, please don't hesitate to contact me using the Contact tab above. Once again, thank you for your continued support and for making the blog what it is today. I'll continue to bring you more of the same quality posts that you've come to enjoy. Sometimes SEOs and site owners encounter the problem of their sites suddenly going down in the search engine results pages for no particular reason, it seems. When this happens, it is often hard to figure out why your rankings nosedived. So, let's consider possible reasons for and solutions to the problem. I arranged them by relevance, starting with the most common ones. 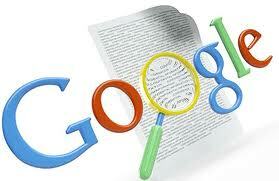 Google has Webmaster Guidelines by which all SEOs and webmasters must abide. If Google finds out (or your site gets reported) that you are not playing by the rules, your rankings may drop substantially, or your site may get removed from Google's index altogether. As stated in Google Webmaster Guidelines, one must not "participate in link schemes" (buying/selling links is basically meant here), create "doorway pages", or use "hidden text" on a site. These are considered illegitimate (Black-Hat) SEO practices and may incur Google's wrath. Well, if your site does get penalized, find out what might have caused this. Re-read Google's Webmaster Guidelines and remove whatever is in violation from your site - then file a reconsideration request. On the one hand, search engines are trying to keep their search results as relevant and SPAM-free as possible. On the other hand, there are people who are trying to game the system or just take advantage of the existing loopholes. And, with the ever increasing number of websites on the Internet today, search engines are forced to tweak their search algos every once in a while to keep spammers at bay. For example, Google's latest big algorithm update known as Panda (or Farmer) was intended to do away with sites that provide poor-quality content and, as a result, provide poor user experience. However, it also affected groups of sites that have significant duplicate content by nature, such as e-commerce sites, online directories, etc. First of all, if you are doing SEO and you really mean it, you should be informed about what's new in the Search Engine Land at all times. The online resources to keep an eye on are Danny Sullivan's Search Engine Land [http://searchengineland.com] (yes, I did it on purpose :) ) , the official Google Blog (http://googleblog.blogspot.com), and the inside-Google Matt Cutts' blog (http://www.mattcutts.com/blog/). If the rules change, and there is no way you can continue using the same SEO techniques you've been using before the algorithm update - you have to change your ways then. However, if you think your site was not supposed to get affected by the algo change but it did - you can write about it on Google Webmaster Forum - that often solves the problem. 3. Your Website's Content Got "Scraped"
If your rankings suddenly deteriorate, that could be because someone has stolen (or "scraped") the content from your site and posted it somewhere else on the Web. In this case, search engines sometimes lower both sites' rankings - then look deeper into the matter. Eventually, they are likely to start ranking your site as high as they used to before the incident, once they realize who copied whose content. However, this may take some time. Dealing with content thieves normally involves locating the site that posted your content, contacting their webmaster, emailing their host, filing a DMCA (Digital Millennium Copyright Act) request or taking the matter to court - whatever helps. It's recommended to start with contacting the scrapers. If this does not help - take the other measures mentioned here. For various reasons, this may happen as well. It can be that your in-house SEO or a third-party firm you hired to promote your site used somebody else's content to boost your site's rankings in which case the owner of the content may have filed a DMCA request (the request is normally filed in written form) or reported your site to Google for copyright infringement. Sometimes your rankings may go down just because a competing site (or sites) manages to boost their rankings to a substantial degree. If this is the case, analyze competitors' sites and see in what way they are better than yours. Pay attention to their backlinks, keyword density, social media popularity and act accordingly, depending on what your site is missing. Spotless site architecture is crucial to high rankings. If there are broken links, HTML code errors or other structural discrepancies on your site, search engine bots might not be able to crawl it within a reasonable span of time, and thus, your site's rankings may deteriorate. Run an audit and fix all the flaws that may hold back your site's rankings. Sometimes a site may not be visible in search results for the simple reason that the host is down and the server is not responding. A thorough site audit will show that. Sometimes it's due to "juicy" backlinks with top Google positions pointing to your site being removed, resulting in a rankings drop for your site. 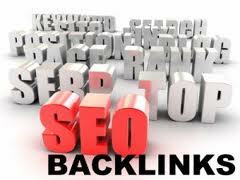 Check the backlinks pointing to your site. Experienced SEOs run such checkups from time to time to see whether any of the links got assigned the "nofollow" attribute, were hidden from search engines because of the robot txt file or were simply removed. If this happens, you should get these links back or get similar backlinks from other websites. QDF stands for "query deserves freshness" and is the algo Google uses to balance its appreciation of older content. Google applies it to trendy queries that all of a sudden become popular on the Web. The way out is simple - just don't do anything. The query will eventually stop being trendy and Google will resume giving more power to older sites with time-tested content. You can always check what topics are popular/trendy at the moment at surchur.com, www.buzzfeed.com or similar sites. Let's say, your site is optimized for the word "silver spoons". All of a sudden, a hot topic about a cafe called "Silver Spoon" appears on the Web, and millions of people start looking up "silver spoon" on Google. Google will most likely decide that "query deserves freshness" and will serve users new pieces of content at the top of its search results. Sometimes, your www homepage may be ranking at position 3 on Google, while the non-www version of your homepage does not have enough link juice and may be ranking at spot 50 at most. If, because of poor canonicalization, Google decides to pick your non-www page to include into its search results, your site will end up at a substantially lower position. The way out is to get your canonicalization right. Use internal linking, 301 redirects, canonical tags (not always justified) to explicitly point out your canonical URLs to Google, so that it makes no mistake. So, these are the most widespread reasons for sudden rankings drops. Of course we could not cover all possible causes and situations - sometimes it's several reasons combined. Besides, sometimes unexpected things happen, like Google removing some 11 million co.cc domains from its index all on one day. But, if you get armed with the advice provided in this post, it'll take you far less time to figure out the reason for the sudden rankings drop, and you'll be able to fix it much quicker. About The Author: Alesya is a blogger and a marketing manager at Link-Assistant.Com, a Europe-based SEO software provider and the maker of the celebrated SEO PowerSuite toolset. 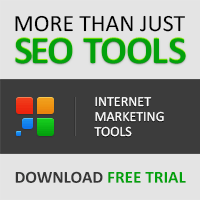 Link-Assistant.Com's SEO tools have set industry's benchmark for automated link building and Web promotion. It was ten years ago here in the UK, when I watched on the TV the unbelievable events that unfolded in America. The shock and horror I felt on that day back in 2001 is still hard to describe. A mixture of shock, disbelief, sadness and anger were just some of the emotions I felt. Ten years on and it's still hard to believe that those terrible events happened and how it's changed America and the world forever. With today being the 10th Anniversary of 9/11, this post is to pay tribute to all those people who tragically lost their lives on September 11th 2001. Our thoughts and heartfelt prayers go out to all those who died, their families and the people that were effected by this horrific act of terrorism. I also want to pay tribute to the brave men and women on Flight 93 who helped avoid another catastrophic disaster, thus preventing more loss of life and to the emergency services who sacrificed their lives to help others in need. 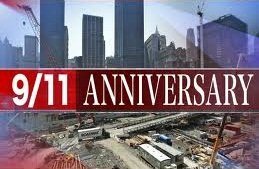 Even though ten years have past since the terror attacks of 9/11, the visions and emotions of that day are still very clear in my mind. As we continue to live our daily lives and as more time passes, may we never forget and continue to honour those people who sadly lost their lives. You will always be in my memories. Addendum: Since the aftermath of 9/11, I want to take this opportunity to also pay tribute to all the service men and women who put their lives on the line defending our countries from such acts of terror. Ever wondered what techniques advertisers and marketers use to persuade you to buy their products? What if I told you some of the techniques used include secret data-mining and chemically addictive make-up. Martin Lindstrom, a bestselling author of Buyology and 2009 recipient of TIME Magazine's "World's 100 Most Influential People", is releasing a new book called "Brandwashed" which reveals shocking findings of how advertisers and marketers internationally target children at an alarmingly young age and how companies of all stripes are secretly mining our digital footprints to uncover some of the most intimate details of our private lives, then using that information to target us with ads and offers 'perfectly tailored' to our psychological profiles. 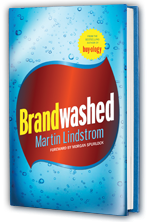 "My goal is that by understanding just how today's newest hidden persuaders are conspiring to brandwash us, we as consumers can battle back" says Martin Lindstrom. "The purpose of this book is not to get you to stop buying, the purpose is to educate and empower you to make smarter, sounder and more informed decisions about what we're buying and why." The new Brandwashed book certainly lifts the lid and exposes the shocking and persuasive techniques that are used by some advertisers and marketers. If you buy products, you need to read this book. It's really that simple. Adding a blog to your website is a big decision, but it is something that every company should consider. A regularly updated blog can give people a reason to visit your website more often, and there are also SEO (search engine optimization) benefits to keeping a company blog. Perhaps you've thought about starting a blog for your company, but you're not sure it will be worth the extra work. Here's a rundown of the SEO benefits to help you decide. Most websites have a fairly limited number of pages, and a limited number of words per page. Adding a blog means you can regularly create rich content, and include the keywords you're trying to rank well for in search results. You'll be giving search engines more pages and content to crawl on your site, and more opportunity to see your important keywords. For every blog post you write, you are giving yourself the opportunity to add content containing five to 10 new keywords. Some of these keywords could actually be longer phrases containing keywords you're already trying to rank well for in search results. These longer phrases - called "long tail keywords" by SEO professionals - can be easier for you to rank well for. That's because, as a keyword phrase gets longer, there are fewer instances of it in search engine indexes. In effect, there's less competition for top rankings in results for searches on those keywords. For example, a gardening supplies website could add a blog that offers gardening advice. Perhaps the company wants to increase its online sales of bulbs. Of course, the website will have pages selling spring bulbs, autumn bulbs and summer bulbs. The blog could also have articles about spring bulb planting mixtures; bulb planting tools; autumn bulb soil amendments; summer bulbs for shade; and many, many more topics surrounding the word "bulbs." Every one of those phrases around "bulbs" is another keyword phrase. By adding lots of articles that include these phrases, the gardening supplies site would be signaling to Google that it has plenty of information about bulbs. The site's pages would show up higher in more searches that include the word "bulbs." The more pages of your website you can get into the top slots of search engine results, the more potential website visitors you will have. Search engines don't like it when we allow websites to get out-of-date. 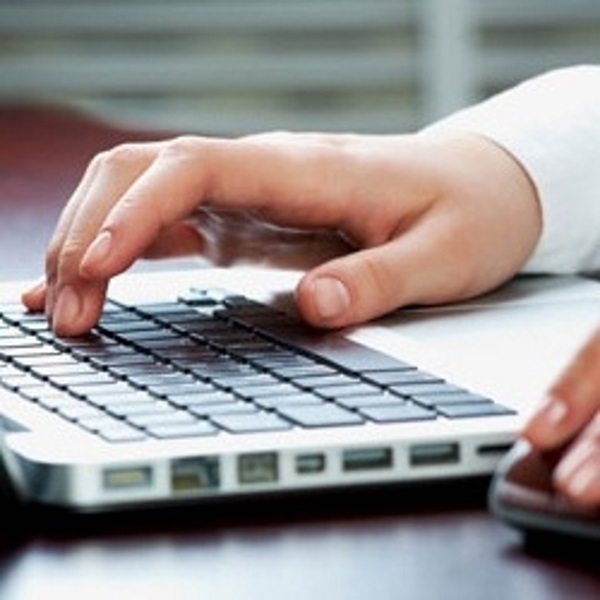 Having a blog encourages people to update their websites more often. When a new URL is added to your sitemap from a blog entry, search engines have a reason to come back to your website, crawl its pages, and possibly adjust its rankings of your pages. If your content just sits there and is never updated, search engines have no reason to re-crawl your site. Updating your blog frequently will give people a reason to return often to see what's new. It also gives them a reason to subscribe to your RSS feed. If you update your blog with information about your new products - or new uses for your products - you could generate more sales. One of the key elements of search engine optimization is links - not just inbound links to your website, but outbound links from your site to others. When you link to other websites, you show search engines that you are trying to provide a good user experience for anyone who visits your website by sending them to other information sources you've judged to be valuable. Because links are how search engines discover new Web pages, you're also doing those other sites a good turn. You can link to important pages on your website from your blog. Doing that signals to search engines which pages have information you think your blog readers will find valuable. While this won't automatically shoot your pages into the No. 1 spot in search results, linking to pages within your own site will help search engines "see" the connections between your pages and their content. If there's one thing you should not do with your blog, it's duplicating content from another page of your website or even worse, someone else's website. Search engines try to avoid returning duplicate content in search results. If your pages are seen as mere duplicates of other web content, that can cause search engines to rank your pages lower than they would otherwise. There are, however, times when it's useful for your audience to republish material from another website. That's called syndication. You should always get permission from the author, and attribute the material to the original source, with a link back to the original article. Pages with content you've syndicated from others may never rank as well as pages where you publish your own original content - but you're providing a good experience for your visitors. That's never a bad idea. To sum up, a blog is a great way for you to keep your website content fresh, boost your rankings in search results, and give people a reason to visit your site frequently. You don't have to be a slave to your blog, and there's no law saying it has to be updated daily, or even weekly. Start with once a month, and grow from there. About The Author: Kristin Page is a project manager at Golden Technologies, an information technology services company based in Valparaiso, Indiana. Kristin has been involved with web design since 1998 and is interested in SEO, blogging, social media and Internet marketing. Article originally published on AboutUs.org. The popular blogging platform Blogger have officially rolled-out the new user interface to all of it's users. In a post by Chang Kim, Product Manager on Blogger Buzz: "It's been a few years since we made major updates to Blogger's look and feel, and there's a lot more to these changes than just shiny new graphics. We've rewritten the entire editing and management experience from scratch so it's faster and more efficient for you - and easier for us to update and improve over time." Mr Kim continues to say: "Throughout the design process, we conducted user interviews to help identify how to make Blogger even easier and more enjoyable to use. We also watched users try our new interface and made many refinements based on their feedback." Here's a screenshot of Blogger's new post editor which has been expanded and simplified to give a larger canvas for drafting and previewing work. This new streamlined interface which has been in draft for the past few months (see Relevant articles below) is clean, easy to navigate and most importantly, has good statistics reporting showing recent traffic numbers, comment activity and follower counts. If you're using Blogger to host your blog, you can choose to update to the new interface immediately via a pop-up announcement that will appear on your Dashboard. If you decide not to update immediately, you can always update to the new interface at a later date by clicking on "Try the updated Blogger interface" on the top-right of your Dashboard. Note: I have updated the post: Have You Backed Up Your Blog? with information on how to backup your blog on this new interface. I personally like the new interface but what's your thoughts? Apple co-founder Steve Jobs resigned last Wednesday as chief executive of the technology giant and will be replaced by chief operating officer Tim Cook. Mr Jobs, who underwent a liver transplant following pancreatic cancer, said he could no longer meet his chief executive's duties and expectations. The 56-year-old has been on medical leave for an undisclosed condition since January. In a short letter to the board of Apple, Mr Jobs wrote: "I have always said if there ever came a day when I could no longer meet my duties and expectations as Apple's chief executive, I would be the first to let you know. Unfortunately, that day has come. I hereby resign as chief executive of Apple." He continued "I believe Apple's brightest and most innovative days are ahead of it. And I look forward to watching and contributing to its success in a new role." Steve Jobs co-founded Apple in the 1970s with Steve Wozniak, and thanks to innovative and hugely popular products such as the iPod, the iPhone and more recently the iPad, Apple has become one of the most sought after brands in the world. His extraordinary vision and leadership has guided it to its position as the world's most innovative and valuable technology company. Although no longer CEO, Steve Jobs will still play a vital role in Apple's future with Tim Cook at the helm. Do you think Apple will be as successful without the former CEO? I would love to read your thoughts on this. Internet search giant Google have added two new features to the +1 button, including the ability to directly share a webpage to Google+. In a recent post on the Official Google Blog, Senior Vice President of Engineering Vic Gundotra announced: "Beginning today, we're making it easy for Google+ users to share webpages with their circles, directly from the +1 button. Just +1 a page as usual and look for the new 'Share on Google+' option. From there you can comment, choose a circle and share." The second new feature added to the button is the +snippets. The +snippets feature will automatically include a link, an image and a description of the webpage you've shared using the +1 button. These +snippets are a great way to jumpstart conversations with people in your circles. To encourage more sharing of content on the Google+ social network, Google have made is easy for publishers to customise their +snippets. More details on this can be found on the Google Webmaster blog. Since it's launch in June, the +1 button has gathered momentum and is now installed on more than 1 million websites with over 4 billion daily views, according to Google. These numbers are very impressive and only time will tell how successful the +1 button will become. Do you like these new features? Please let me know. The Bing Webmaster team have recently announced on the Webmaster Central blog the integration of Yahoo! traffic data into Bing Webmaster Tools reports. Bing Webmaster Tools will now be showing integrated data from Yahoo! within certain areas and reports. The areas you will notice the changes are on the Traffic Tab. The "Traffic Summary" and "Page Traffic" reports will be impacted with Impressions, Clicks and Click Through Rates (CTR) increasing based on combined data numbers across both search engines. As a visual reminder that data is now combined, you will see both the Bing and Yahoo! logos directly above the graphs shown on these pages. At this time, the data will be combined and not selectable with September being the first full month of combined data. The data will also update in any market where Bing is powering Yahoo! search. Facebook announced last week a bunch of new improvements that makes it easier to share posts, photos, tags and other content with exactly the people you want. According to Facebook, the main change is moving most of your controls from a settings page to being inline, right next to the posts, photos and tags they affect. There are several other updates that will make it easier to understand who can see your content (or your friends') in any context. The privacy settings are moving toward individual post windows and profiles. Users are gaining the ability to approve tags of themselves in others' posts and photos. All tags will include an attribution of the person who did the tagging. Places no longer require physical check-ins, so people can add locations to posts, even from the desktop. You don't need to be friends with someone to tag them in a post or photo. You don't have to like a brand to tag it in a post or photo. Facebook has changed the word "everyone" to "public" in privacy settings, for clarity. You can customize privacy, or visibility of information, on a post-by-post basis. Users can edit the visibility of individual bits of content anytime after they post. The changes don't affect mobile users, at least not for now. These changes, according to Facebook, have already started to be rolled out across their system. Once your account has been updated, you'll see a prompt for a tour that walks you through these new features from your homepage. You can read more about these changes from the links that are available on the Facebook blog. Do you like these new improvements? Do you think Facebook is copying Google+ by changing the word "everyone" to "public" in the privacy settings. I would love to read your thoughts on this. 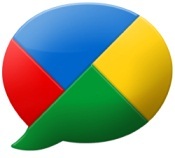 Ever wanted to read posts and comments written in another language on Google+? Well now you can. As of writing this post, Google have just released a Chrome Extension, Google Translate for Google+ that translates posts and comments into more than 50 languages. In an update on Google+, Josh Estelle (Leading frontend and mobile development for Google Translate) writes "We've heard from a lot of Google+ users wanting an easier way to understand posts written in other languages. I'm an engineer on Google Translate and thought we could do something about that. That's why I'm happy to announce our Chrome extension, Google Translate for Google+, that using the power of Google Translate, can automatically translate any post or comment into more than 50 languages. Once you've installed the extension, refresh Google+ and you'll see Translate links next to posts and comments. Click the links to instantly see translations." HootSuite (the popular social media management system) has today added new Facebook features to it's dashboard. The social media dashboard is now equipped with even fuller Facebook functionality which means you can do even more in the dashboard than ever before. Now you can manage your Facebook Groups and Events, along with your Profiles and Pages from within HootSuite streams. You can also attach and upload photos directly to Facebook, search all public updates for brand mentions and even geo-locate your campaigns. All these new features are now readily available the next time you login to HootSuite.